The tissue is like a road map for you. When the cup bogs down or pops off, it's an indication that this area needs work. As you work this area, you will notice the cups begins to glide or slide easily without popping off and without bogging down. Below we have a picture of how to squeeze and apply suction using the Supreme Cups. 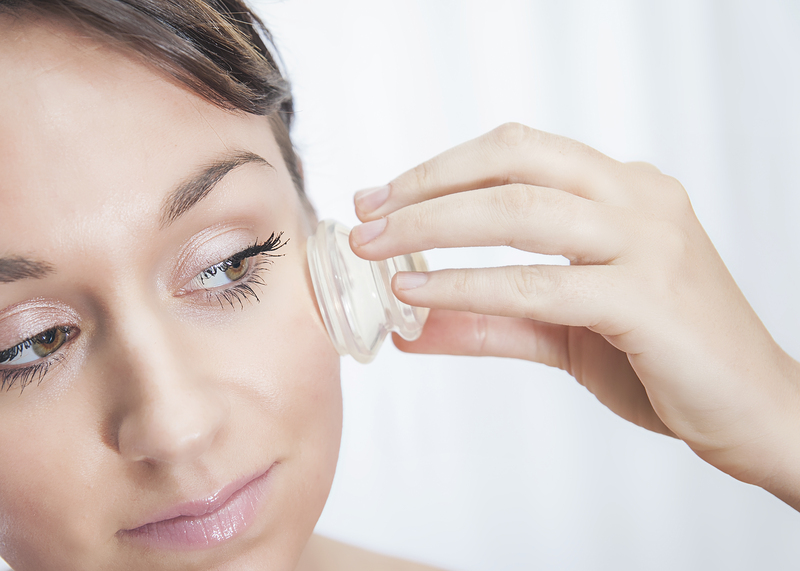 One Common mistake Licensed Providers and Home Users make when using these cups for the first time is to place the cup flat on the skin and attempt to push down on the cup. This does not work, and it is a very uncomfortable pressure on the body. In the picture above, you will see how we have squeezed both sides of the cup prior to placing the cup anywhere near the body. This expels the air out of the cup so it can achieve strong suction once applied to the body. Once you become more proficient at applying the cups, you can take the following short cut. Place the cup on the body. Using the squeeze method above, allow one side of the cup to touch the body. Use both hands to squeeze cup as shown below. Now allow both sides of the cup to touch the body and let go for suction. The picture above shows how to squeeze the cup for strong suction. You can control the amount of suction by how thin you squeeze the cup. For half the suction, squeeze the cup half the amount. IMPORTANT NOTE: When you first begin using the cups, many times they will either bog down and become difficult to move, or the cup will pop off. Untrained users will first think that this means the cup is not strong enough. Trained users know that when this happens, it is usually due to tissue adhesions and indicates that this area needs work. As you work this area, you will notice the tissue become more pliable and the cup will stop popping off and the cup will glide along this area easier. The tissue becomes your road map. Before you Begin learning about your cups and which cup to use. Please Take Note!! One common mistake is to go immediately to the largest up. Please don't do this. There are usually one to two cups that will work the best for each size of the area you are working on. We want to strongly encourage you to start with the smaller cup for the area and if the cup is gliding or moving well and not bogging down, then move to next size larger cup. Starting with the smaller size cup for the area will decrease any unnecessary discomfort and discourage the fascia from fighting with you and against you. This cup is a little stronger than the Mini Cup but is still small enough to work on small areas. You would not want strong suction on the face as it would be more likely to leave suction marks or "Cup Kisses" as we call them. This cup is has more suction than the previous two and is great for working on larger parts of the body with good suction. This cup can be used for gliding (massaging and can also be used for stationary cupping. Please understand this style of cup can be used for both, but does not have the rigid strong suction as the hard plastic cups with gun this cup molds to the tissue being pulled up. Some say it provides more suction. This cup is has stronger suction than the others.. It is to be used on larger areas of the body. It can be used for gliding and also for stationary cupping. Great for Shoulder and Back Work. This cup can be used for gliding (massaging and can also be used for stationary cupping. Please understand this style of cup can be used for both, but does not have the rigid strong suction as the hard plastic cups with gun. 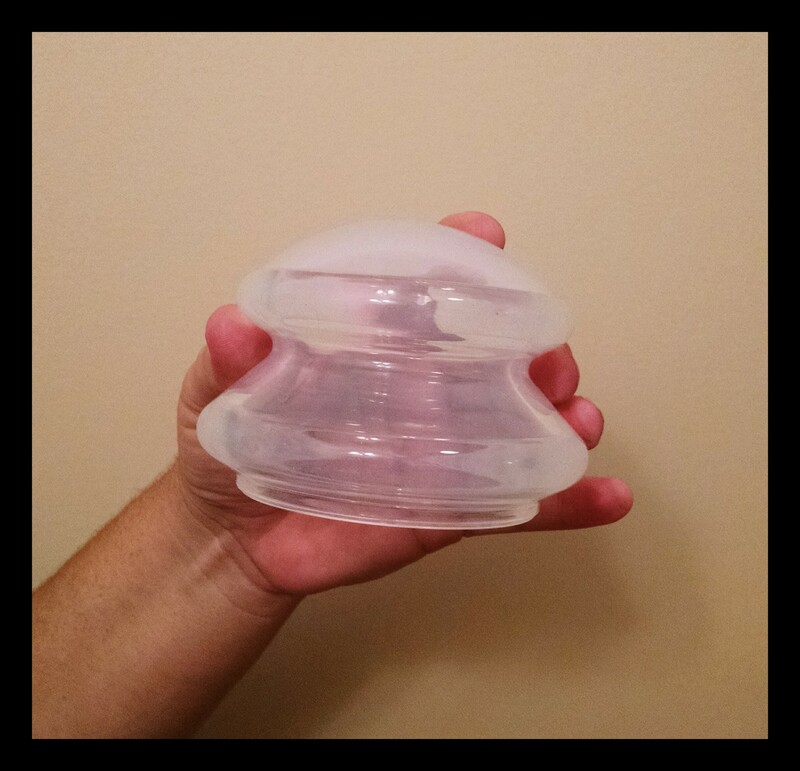 The silicone molds to the tissue and some say it provides stronger suction.